The pre-requisite to attending either of our advanced courses is either attendance of our introductory course or completion of an acupuncture training course that is of a similar length and content. The first part of the approach is to discuss how to use a combination of western acupuncture and dry needling to treat common musculoskeletal conditions of the upper body. This includes emphasis on assessment/reassessment of key subjective and objective measures that are likely to change when needling techniques are applied correctly to each condition. 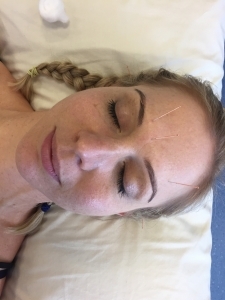 The course is mostly practical in nature and because all course participants have shown competence in the fundamental use of acupuncture we are able to safely teach more advanced needling techniques around the thorax, head, face and upper limb regions. The secondpart of the approach is the use of case studies and an acupuncture planning system to hone your clinical reasoning skills. Western acupuncture and dry needling are treatment adjuncts that work best when combined with your other physiotherapy skill sets, such as manual therapy, muscle balancing, exercise prescription and postural advice. These aspects are discussed in reference to common musculoskeletal conditions.